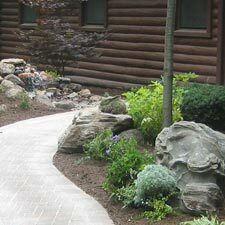 When choosing a landscape contractor to work with, you want an experienced landscaper who you can trust and depend on. With D.C. Landscape on the job, you can rest assured that all your landscaping needs will be taken care of in a timely and professional manner. We've been landscaping the areas of all Southeastern Wisconsin, including the counties of Racine, Kenosha, Milwaukee, and Northern Illinois for over 15 years now. If you're in the market for a landscape design, need residential or commercial landscape work, look through our services, we do it all. Call us today, we'll be glad to work with you on your next project. Our reputation is built on our commitment to quality work, trust and dependability.